Many young drivers would prefer to avoid the expense of running their own car by driving their parent’s, but it’s often prohibitively expensive. On top of that, many parents are concerned that their children won’t behave themselves when behind the wheel with friends, and so would prefer them to run around in a rotten old banger. The MyKey system, which will initially be offered as an option of the Fiesta, allows parents to set certain parameters in their car, making it safer for inexperienced drivers. While it’s not available in the UK right now, it is available on the US spec Fusion, and we had a chance to test it out. Buyers who specify MyKey will be given and ‘admin’ key and either one or two MyKeys. The admin key can then be used to change specific settings in the car which correspond to the MyKey. For example; the stereo’s maximum volume can be capped and warning bongs can be set to play at certain speeds, like 30mph for town. There are also settings that are always set when the MyKey is used: the top speed is capped at 80mph and the traction control system can’t be turned off. Additionally, if the driver or passenger doesn’t fasten their seatbelt then a warning will play and eventually the stereo will mute. A low fuel warning can be manually set, too, so a chime will play when there’s a quarter tank rather than when it’s about to run dry. Besides these restrictions, the car is pretty much normal. If you drive sensibly, don’t break the speed limit, wear your seatbelt and listen to the stereo at a reasonable volume then you’d never know any different. MyKey is intelligent in that regard, because it will only slap you on the wrist if you do something wrong, rather than constantly nannying you into doing things right. It’s unclear if the system will offer reduced insurance premiums when it’s launched in the UK later in 2012, so the safety advantages might not make for financial savings, but for parents and children who’re considering sharing a car, it’ll prove a massive help. 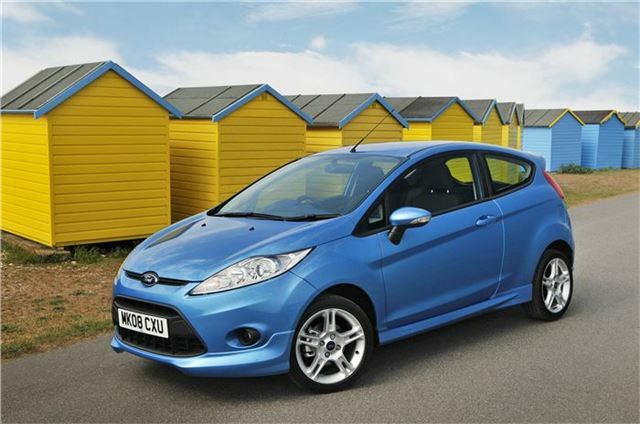 MyKey will initially be offered on the Ford Fiesta, but expect it to be fitted to other cars in future. Would you consider this system? Let us know on Facebook.